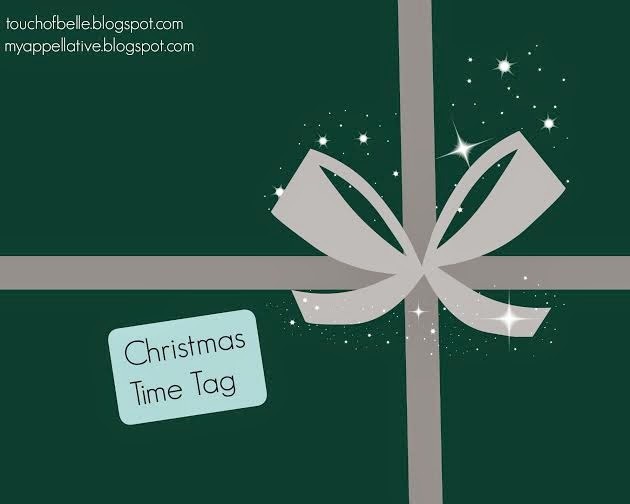 Touch Of Belle : Christmas Time Tag! Hello everyone! Myself and Ella from http://myappellative.blogspot.co.uk/ came up with a new tag called "Christmas Time!" 1. Do you have any Christmas traditions? Whenever we go travelling we always buy something to put on the Christmas tree, so when we put it up we can remember all the places we have been too! 3. Do you have any Christmas wishes? That all my family and friends have a lovely Christmas. 4. What is your favourite part of Christmas? I love the excitement and build up to Christmas! I also love watching other people open presents! 5. When do you usually put your Christmas decorations up? 1st or 2nd week in December! 6. What Christmas food do you spend the year looking forward to? I love my Christmas roast! 7. When do you think "Christmas time" should start? I think the 1st as that’s the first day you get to open on an advent calendar! 8. Top 3 songs of Christmas time? Fairy Tale of New York, Merry Christmas everyone and I wish it could be Christmas everyday! I bet I have missed some of my favourites out! 9. What's your favourite shop for buying Christmas presents? I love little quirky shops and places you can get things that are sentimental and unique! 10. Post a photo from a past Christmas that makes you smile! 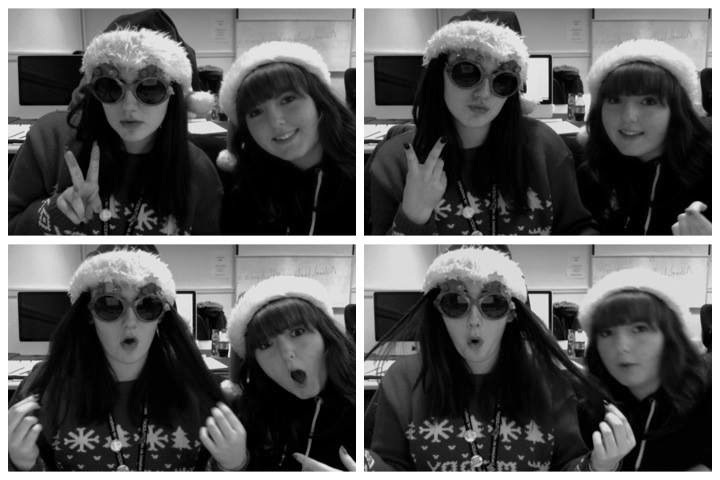 This was last year at college, on our last day before we broke up for Christmas! Hope you all enjoyed the tag! And YOU reading this! If you give this tag a go leave me your link in the comments or tweet me @touchofbelle so I can have a read! Great tag - I'll try and do it this weekend. Great! send me the link if you do it! I've seen this tag a few times today and it's making me feel so festive and christmassy! My biggest Christmas wish is also for my family and friends to have a lovely Christmas, and also for 2014 to bring good health to everyone. Also, how cute is the photo of you on the last day of college! Novelty Christmas hats are SO fun! I love watching people open Presents!